Ever wondered how to charge an electric car? Electric vehicles like the all-new Jaguar I-PACE, give you the option of charging at home or at on-the-go at public charging points around Pacific Palisades. 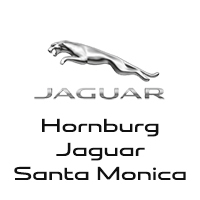 Learn more at Hornburg Jaguar Santa Monica, then find a new Jaguar I-PACE for sale near you! How Does Electric Car Charging Work? Electric cars have a lithium-ion battery that powers the vehicle’s electric motor, and like any other battery, it needs to be charged after a while. The Jaguar I-PACE 90 kWh battery has up to 234 miles of range, so you could take a long day trip out of Santa Monica worry-free. Cabin climate, driving habits, traffic, and extreme temperatures can affect the charge level. The I-PACE charge point is located behind the driver-side front wheel arch, and when plugged in you can leave the vehicle to charge. It will stop charging when full charge is reached. The charging system is self-contained, so it’s safe to charge outside even in rain and snow. To save your battery, use the cabin pre-conditioning function while your I-PACE is still plugged in. While driving, Eco Mode helps preserve the I-PACE range by making changes to the vehicle’s performance systems, cabin temperature, and more. When it comes to charging at home, you can either use a normal 120-volt domestic outlet, or you can have a Jaguar-approved home charger installed for faster charging. Domestic Socket Charger: Charging overnight can typically cover an average 30-mile daily commute. Jaguar Home Charger: Get 0-80% charge in 10 hours, or 100% charge in 12 hours. Cost to Charge: To estimate the cost of fully charging your Jaguar I-PACE at home, multiply the rate you are charged per kWh as indicated on your electric bill by 90 since the I-PACE has a 90 kWh battery. AC and rapid DC charge points are available at primo parking spots in public places like parking garages, gyms, movie theaters, and malls. DC chargers especially are a great fast charging option when you are out and about or departing for a long drive around Brentwood. The common 50 kW DC rapid chargers can provide 0-80% charge in 85 minutes. Local charging points will be indicated in the I-PACE Navigation System. Learn more about Jaguar I-PACE features and configurations, or compare electric vehicles like the Jaguar I-PACE vs. Tesla Model X, and contact us for a test drive when you are ready to witness this cutting-edge technology in person.